Very typical and frustrating situation. You had your old system installed on typical old mechanical hard drive and you bought shiny,new, expensive and rather small SSD drive. First idea that comes to mind is to install fresh new system on SSD drive and use old one just for not so frequently used but rather big data. Maybe there is a lot of data you want to keep on that old drive and you do not want to format it, you will leave it in system as it is. SSD will hold system and be C partition and old drive will be D partition. Installation went smoothly and you see there are folders like “Program Files”, “Users” and in particular “Windows” on that old hard drive which you will never ever use again, but they still take up a lot of space. In my case old Windows folder was almost 100 GB big. Deleting all folders except “Windows” goes pretty much without any problems but deleting old Windows installation doesn’t go as easy. Deleting it from Windows Explorer says you don’t have permissions to delete it. There is no “chmod 777” on Windows to change them. Trying to change permission trough properties dialog also leads to quite strange errors and some ghost non-killable windows. Total Commander has a bit different approach. It traverses trough directory structure which can take hours and then at the end gracefully fails with same messages as Windows Explorer. 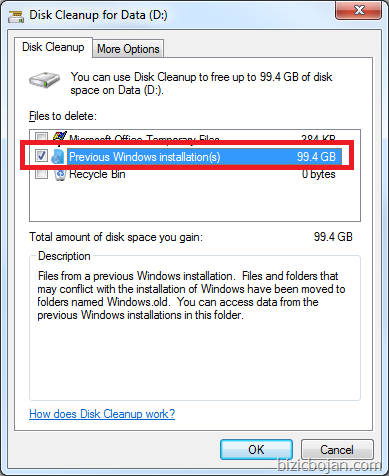 Start a Disk Cleanup utility. If everything up to here was done correctly you will see following window. Window should show “Scanning: Previous Windows installation(s). After scanning process is done select “Previous Windows installation(s) and click OK. If you are like me and hate chat applications that take-up space on your taskbar even if they are closed to systry there is simple solution. 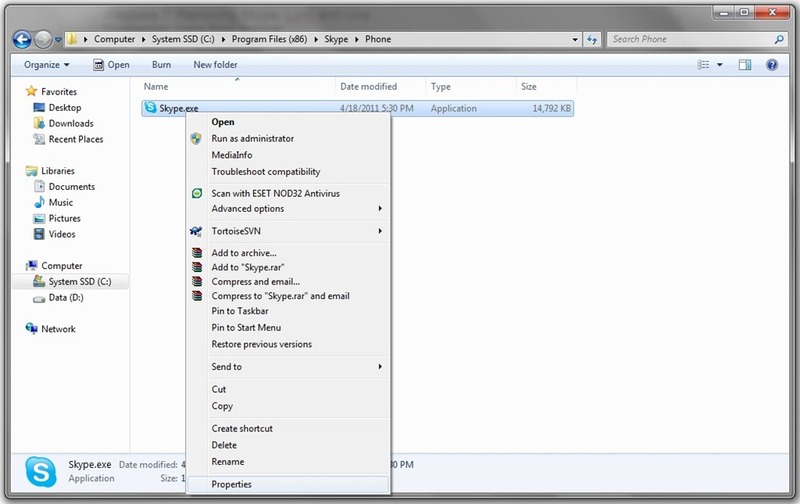 To setup Skype go to application installation folder. I am running 64-bit OS so path to my Skype installation is "C:\Program Files (x86)\Skype\Phone\Skype.exe". Right click on Skype.exe and then choose properties. 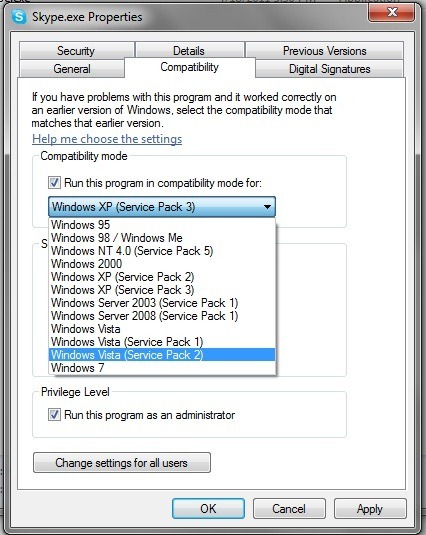 On Compatibility tab set Skype to run in compatibility mode for Windows Vista SP2. You can check “Run as administrator” option as well. Repeat same process for other applications such as Live Messenger, Lync 2010 communicator and any other application that tends to stick around your taskbar even if they are “closed” or minimized to taskbar. So far this worked perfectly for me but if you run into troubles running your applications in compatibility mode just switch it back. Skype version 5.3.0.111 has know problem running in compatibility mode, however other versions worked without any problems. If you run into problems with newer versions of Skype there is now a built-in option to do this. 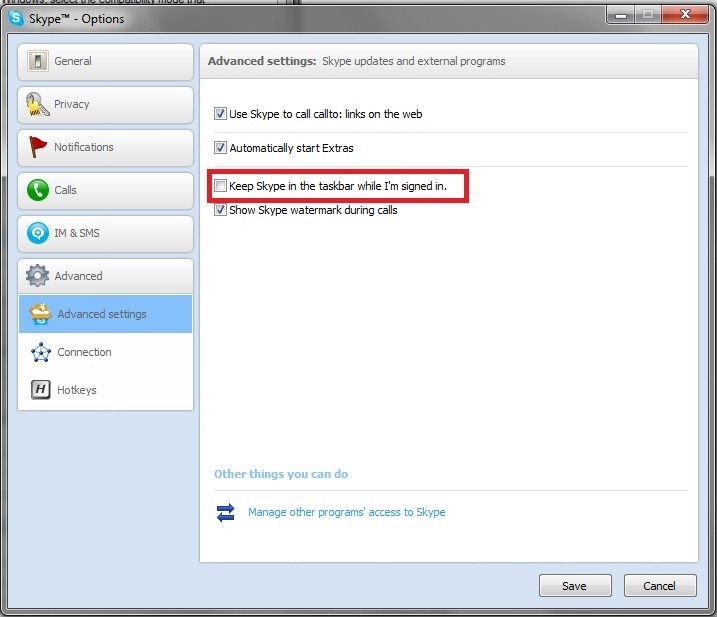 Open up Skype, go to Tools, Options and under Advanced options tab uncheck “Keep Skype in taskbar while I’m signed in” option.